While marijuana is soon joining alcohol among legal substances for recreational use, nothing is changing regarding driving under the influence. Provinces will be determining the possible legal or punitive action an individual may receive due to their intoxicated driving, but one thing is for sure, it’s not something anyone wants to get caught up in. Driving under the influence of drugs or alcohol can result in serious bodily harm, enormous fines, jail time and even the death of the driver or others. It just isn’t worth it. Naturally, rational decision making isn’t always the “go to” for those who are trying to figure out how to return home from a night out, but it’s important to make as much effort as possible to plan ahead and avoid having driving under the influence as any sort of option. Sometimes, though, there isn’t anything to be done because it’s already happened and something bad has happened. It could be that an individual was caught, or it could be that they were injured or harmed someone else in the process of driving drunk or high. Inevitably, however, the law will catch up to those people and now they are faced with a prosecutor and an uphill legal battle. The public perception is harsh towards drunk drivers and those under the influence of marijuana or other drugs, and it can be difficult to rely on the support of family members and friends during a time of great shame, regret and embarrassment. Despite the negativity, our legal system was not formed on “the court of public opinion”, and therefore it is important to choose one’s next steps wisely and make some good decisions. It’s never too late to start doing that. First: Speak to a lawyer. Yes it costs money, but most Canadians don’t possess as much legal knowledge as we may think, given most of it probably comes from American TV dramas. The next step should be to evaluate one’s life and decisions, and strongly consider a rehab program for drugs or alcohol, depending on what may have led to the incident. Certain rehab centres, Sobriety Home included, have a strong relationship with the judicial system and have worked with the courts and prosecutors before. Many of whom support rehabilitation facilities and actively encourage addicts and alcoholics to seek treatment as part of their sentencing. Taking that step for oneself is a great first step that shows a willingness to change for the better, and it’s considered an act of good faith by many judges. 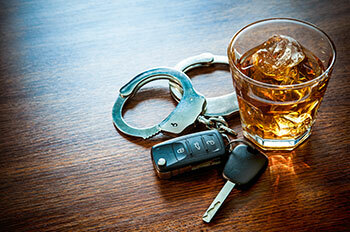 In fact, Sobriety Home offers any client under our care assistance and documentation to help them with an on-going legal case against them related to a DUI. Most judges will suspend proceedings in order for an individual to seek treatment, and if the idea is prompted by the accused, all the better. Perception is important, but only if someone is genuine about their desire to improve and atone for past mistakes. A letter from us can be delivered by the accused themselves or through their attorney to the court, and once treatment has completed a favorable report from Sobriety Home Foundation can go a long way to improving one’s legal circumstances. In the past, many judges have shown greater sympathy and have been more reasonable with our clients because of our renowned program and the faith we have in our clients ability to recover.